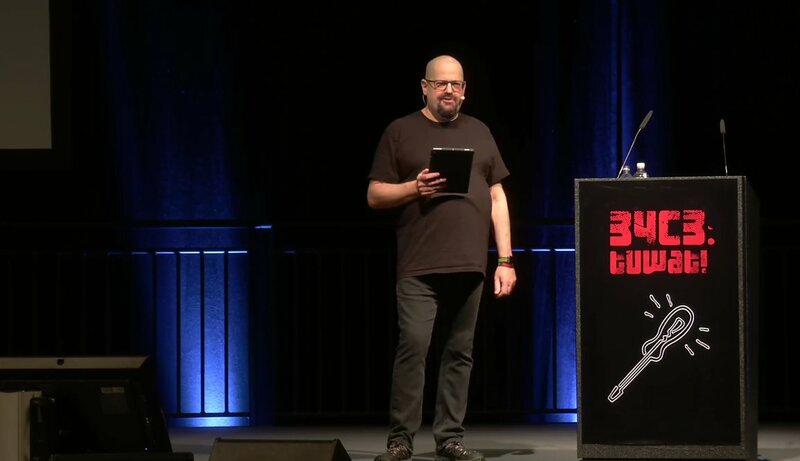 Charlie Stross's keynote at the 34th Chaos Communications Congress Leipzig is entitled "Dude, you broke the Future!" and it's an excellent, Strossian look at the future we're barelling towards, best understood by a critical examination of the past we've just gone through. Stross says we should be especially worried about machines designed to command ever-larger slices of our attention, without regard to whether we're made happier through this process (after all, you can make someone pay attention to you by driving them nuts, something that's often easier than pleasing them. I think that this is a causality error, though. The dotcom boom was also an economic bubble because the dotcoms came of age at a tipping point in financial deregulation, the point at which the Reagan-Clinton-Bush reforms that took the Depression-era brakes off financialization were really picking up steam. That meant that the tech industry's heady pace of development was the first testbed for treating corporate growth as the greatest virtue, built on the lie of the fiduciary duty to increase profit above all other considerations. Thanks to the work of Thomas Piketty, we know that the collapse of regulation was driven by the accumulation of capital into fewer and fewer hands, meaning that power was weakly consolidated with the wealthy, who used that power to push for more wealth accumulation and more power. All this to say that if the web had been built on direct transactions through micropayments, the slow AIs of the corporate world would have still figured out how to toxify the web and the discourse that ran over it. If clicks were worth direct money (as opposed to indirect money, paid through ad brokers), the same forces that optimized for attention-grabbing to attract eyeballs would have just optimized for microtransaction grabbing. At the same time, the consolidation of power in a few winners' hands has meant that attention-hungry corporations like Facebook and Google are increasingly able to use law and regulation to prevent public interest groups or competitors from making tools that give you, the user, more control over your online experience, the ability to subvert their algorithms' gaming of your attention without having to sacrifice the social connections and utility that the companies deliver. The early web lived in a dynamic between attention harvesting tools and attention defending tools like popup blockers; that's a much more fraught proposition on today's web. Stross's overall point, though, is an excellent one. The artificial lifeforms birthed by finance capitalism and technology are taking over, and they are consuming our political and deliberative processes.